If you have foraged for stinging nettle more than a few times, you are well aware of how tall those plants can get and how vicious those stingers can be. The further into the growing season, the more chance you have of experiencing the wrath of the stinging nettle. You probably realize I am writing from personal experience. Ouch! Yes. Here’s the good news: the first nettles of spring have stingers but very little sting. They just seem to be warming up, practicing for the big show, as it were. This is the time to go full boar on nettle foraging. Think big! You can freeze or dehydrate what you do not immediately consume. You will still need gloves and good shoes and clothing to gather nettle, but you will have a lower likelihood of getting stung. You can clip a lot of tender nettle tops. The whole top can be cooked, along with the tender stems. There is no need to strip the leaves off tough stems as you do in the summer months. This is a super time saver. The tender leaves of spring have a more delicate flavor. Being more delicate, the nettle leaves can be used in greater concentration in soups, hence more nutrition. 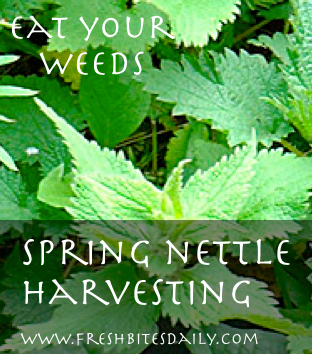 Given the “Spring Tonic” status and blood purifier status given to nettle by Dr. Christopher, you will want to take in all the nettle possible. I recommend you make one of our greens soups. The early nettles tend to come on before most of their weedy neighbors, making the nettles easy to spot and easy to reach. Later in the season, you could end up having to cut a path to your favorite nettle spots. Wear closed shoes and long pants. This is not a shorts and sandals job. Use leather gloves and a pair of sharp little clippers. Take a container that stands open on its own. Foraging time is shortened if you don’t have to continually battle the bag or box. Just clip, don’t pull. The nettle plant will continue to make new shoots through the season. You can return to a good foraging spot every few weeks to clip the tops of new shoots. Take only the nettle you can use or process in the next 24 hours. After day or so, it really starts to go down hill and you are losing those precious nutrients that sent you out foraging in the first place. While you gather nettle, look for the seedlings of lamb’s quarters and dandelion. 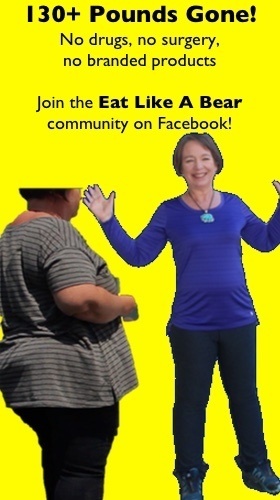 They often grow in a happy commune. If you refrain from trampling those seedlings, you can return in a month to harvest these nutrient powerhouses. You could end up harvesting part of your daily nutrition all season long. If you are not savvy as to what those seedlings look like, find a more experienced forager take you out on a tour. Always be looking for someone to learn from. Before long, you will be the expert. Keep it Cool: If you are not going to cook or process your nettle upon returning home, put it in the refrigerator. We pick early nettle in the valley below us. At home the temperatures are still quite cold and we keep the bag of nettle on the back porch. We call it our “walk-in” refrigerator. 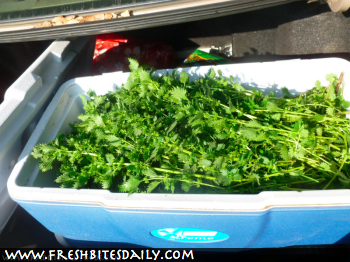 As temperatures warm up, we harvest nettle right into a cooler. Clean it: Before you cook or process nettle, wash it well. It may look squeaky clean, but do not be deceived. All those microscopic hairs hold on to microscopic grains of sand. This is all the more true of the flowers and seed heads. We place it in a bowl, cover it with water, swish it around, and remove the leaves. If there is sand or dirt in the bottom of the bowl, we clean out the bowl and wash the leaves again. We repeat the process until the water is clean. My experience with the spring tips is that I can handle them with bare hands in the washing process. This is not true later in the season, believe me! It may or may not be true for you. We all have different levels of sensitivity to nettle. PS: If you need any boost in motivation for foraging these spring nettle, do read the nettle entry on Dr. Christopher’s site. You will be rushing for your gloves and clippers. I promise! Good luck, good eating, and good health!